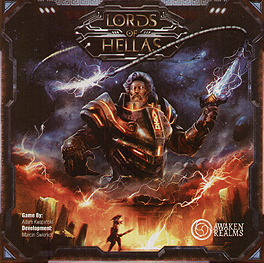 LORDS OF HELLAS IS A FAST-PACED TERRITORY CONTROL GAME WITH ADVENTURE ELEMENTS FOR 1-4 PLAYERS. The game is set in the Dark Age of Greece, an era shrouded in mystery. This unique setting, combining classical Greek mythology with Sci-fi elements, creates an amazing aesthetic with miniatures, great 2D art and other components. Players choose a unique hero to control and compete with one another for victory which can be achieved in multiple ways: from classical territory control to adventure-style monster hunting.